Disaster Never Sleeps, and Neither Do We. There is never a good time for your business operations to go down. Telehouse recognizes this, we provide 47 carrier-neutral data centers across the Globe in US, EMEA and APAC and disaster recovery cloud services. Our operational reliability boasts a 25 year history of 99.99999 % uptime including N + 1 redundancy which means that those infrastructure components have at least one back up power source. Our award winning cooling system in Europe (Adiabatic Cooling), is one example of how Telehouse continues to develop innovative strategies for greater efficiencies for our customers. 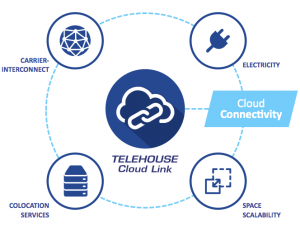 Our network ecosystem includes Telehouse Cloud Link which can provide you access to a multi-cloud platform – Amazon Web Services, Microsoft Azure and Google Cloud. Telehouse can work with you to develop a cloud-based DR strategy that can meet your needs. Domestically, we can provide you the reach to over 130 data center locations in 13 cities with our partner PacketFabric and their Software Defined Network, enabling you to connect to other data center locations that you may require. Telehouse can provide space planning and workstations that can accommodate both front and back office in the case of an unexpected disaster. 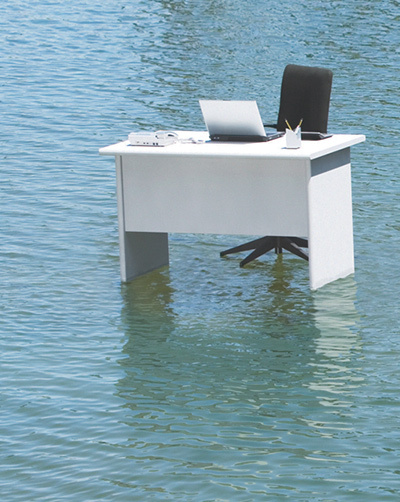 The facts are that 50% of businesses that experience a disaster and subsequent data loss (10 days or more), file for bankruptcy immediately. In fact 93% fail within a year. But with a DR plan in place, it doesn’t have to be your business. We know businesses need to plan ahead and be ready for whatever Mother Nature or the guy upstairs can throw at them. When you need an IT DR backup plan, Telehouse has solutions. With 25+ years of designing DR plans, 47 global data centers and 99.999% uptime we’ll keep your data safe, keep you connected and your business operational. 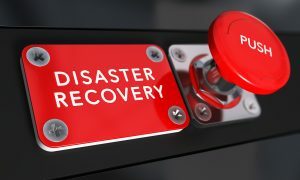 Our primary dedicated Business Continuity Recovery Site is located in the Teleport Center facility on Staten Island (New York). This colocation facility has never lost critical power in its 25 years of operations. Download your Mastering Disaster Checklist! The Telehouse DR data center provides customers with a fully built, ultra-secure, power-protected and rock solid infrastructure. When you need to restore your data, IT systems and management controls, you’ll have the resources at hand and support you need. Anticipating what your business needs to stay operational is the foundation of your DR audit. We look at what’s in place now, is there a protocol your staff can follow, and what is the line of communications? Is there a redundancy plan for your data? An experienced DR team can ask the right questions and design a plan that works for you. In the event of a disaster like Hurricane Sandy where New York was under water for 2 weeks, our clients were able to stay operational. Some set up shop right in our data center, others had a remote work plan in place. Their businesses did not come to a halt, nor did the Telehouse team. We are always surprised when customer’s data is not backed up on a regular basis. A loss of data or an inability to access it can put companies out of business. We can make sure that doesn’t happen to you. Telehouse provides our customers with the most flexible and secure DR services that act as a custom fit for their business. Let’s work together and THINK NEXT about planning for an event that can bring your business to a halt. Our experts will work with you to audit your current protocol, and design a backup DR plan that keeps you connected—and your business operational.